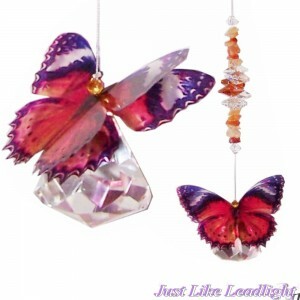 For beautiful crystal butterfly suncatcher designs. 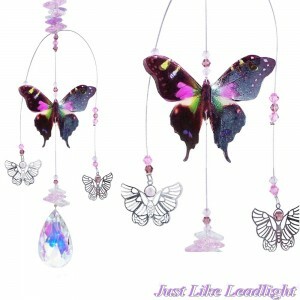 We have a large selection of handmade Butterfly suncatchers. 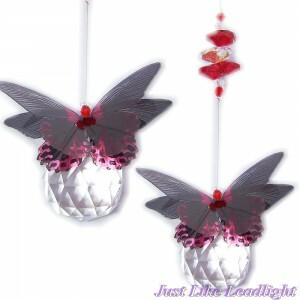 I can supply bulk orders at wholesale prices for market sellers or gift stores. 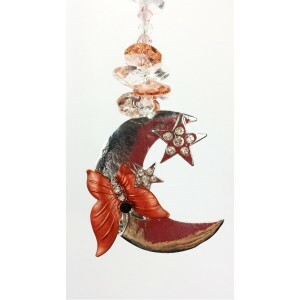 we can also custom make a special unique suncatcher to your specifications. 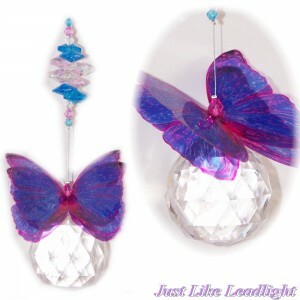 Many more Butterflies coming to this category soon. 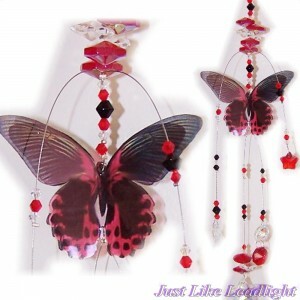 This pretty suncatcher, has a double winged butterfly as pictured in black and red, on a spark.. 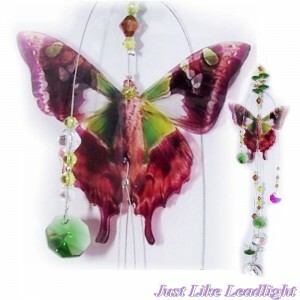 This pretty suncatcher, has a double winged butterfly (4 wings are bent out for a 3d effect) a..
Rhinestone Butterfly moon suncatcher. 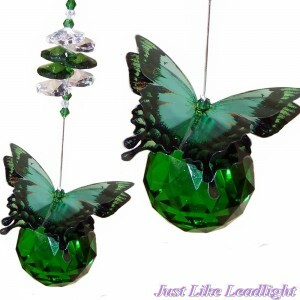 hanging length approx - 28cm rhinestone pendant size - 75mmx.. 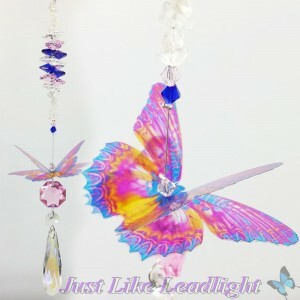 This pretty suncatcher, has a double winged butterfly (4 wings are bent out for a 3d effect) as pict..
this pretty suncatcher, has a double soft winged butterfly (4 wings are bent out for a 3d effect) as.. 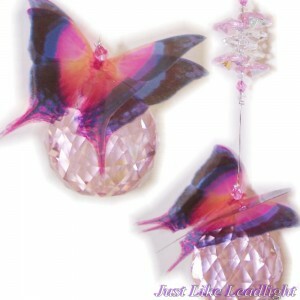 This pretty suncatcher, has a double winged butterfly (4 wings are bent out for a 3d effect) as.. 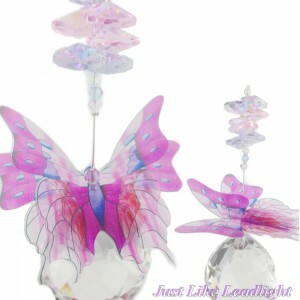 This pretty suncatcher, has a double winged butterfly (4 wings are bent out for a 3d effect) .. 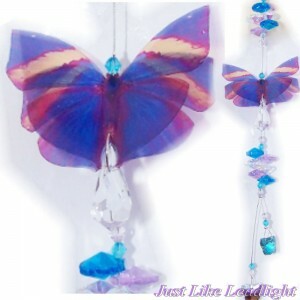 This pretty suncatcher, has a double soft winged butterfly as pictured (4 wings are bent out for a 3.. 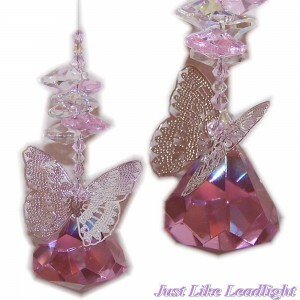 This crystal suncatcher has a pink 30mm crystal diamond ball with a delicate silver filigree butterf.. 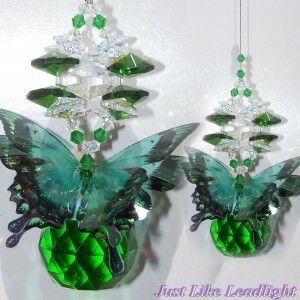 Here's one of my newest designs. 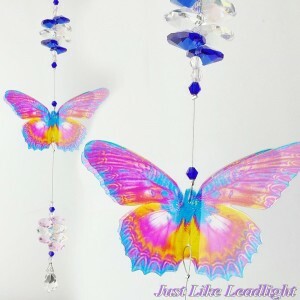 This suncatcher is stunning and you will be seeing alot more of my ..